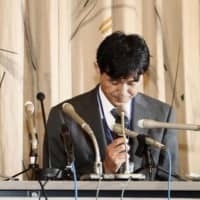 CHIBA - The father of a 10-year-old girl who died last month at their home near Tokyo forced her to write a letter stating he did not hit her so that she would be returned home, a child welfare center said Tuesday, revealing more apparent missteps by authorities in protecting her life. The father, Yuichiro Kurihara, presented the letter written by his daughter Mia in February last year when the welfare center was considering whether the girl — who was residing with a relative to escape suspected abuse by him — should return home, according to the center. Two days after the letter was presented by Kurihara as a basis to demand her return home, the child welfare center, which also serves as a temporary shelter for children, decided in a meeting to have Mia leave the relative’s house and resume living with her parents and 1-year-old sister. After she returned to her house in Noda, Chiba Prefecture last March, the girl told a center official at her school that her father had actually made her write the letter, which also stated she wanted to live with her parents and younger sister and did not want to meet child welfare center officials anymore. Mia initially said in a school questionnaire on Nov. 6, 2017, that she was being “bullied” and hit by her father. Because of the report, and the discussions with her teacher that followed, she was sent the next day to the child welfare center in Kashiwa, near Noda, for her protection, and remained there for seven weeks. 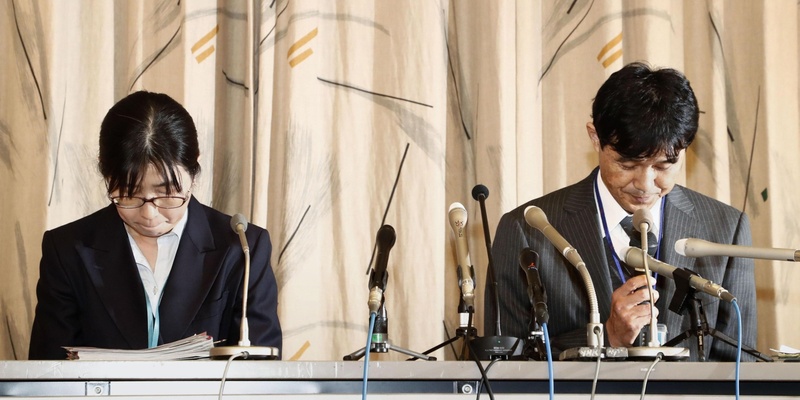 Hitoshi Nihei, head of the center, said officials at the center thought it was highly possible that the father had forced the girl to write the letter, but they did not ask her if she was forced to write it before they decided to allow her to return home. “Our role is to protect children’s lives. We truly feel sorry,” Nihei said at a news conference. The action by the welfare center follows revelations that the Noda Board of Education gave Kurihara a copy of the school questionnaire at his insistence when he demanded Mia’s return home — an action feared to have aggravated his abuse of the girl. “Therefore, the (Kashiwa) center needed to confirm her feelings in a safe place without the presence of her parents,” he said. “But people working in a child welfare center must have a sense of mission to protect the children till the end no matter what, as well as the ability to see calmly and objectively,” he added. In cases where they cannot avoid difficulties developing with parents, “coordination with police becomes important,” Saimura said. The center ended what it classified as the girl’s protection in late December 2017, on the condition that she would live with the relative. A center official then met with her father in February the following year at the relative’s home to decide whether she should return home. Mia was found dead on Jan. 24 this year in the bathroom of the family’s home, with bruising to her body. Her father was arrested the next day on suspicion of assault, but an autopsy failed to determine the cause of the girl’s death. While she was not severely underweight, the autopsy revealed there was almost no food in her stomach, indicating she had not been fed sufficiently, according to investigative sources. The girl’s mother was sent to prosecutors Tuesday following her arrest a day earlier for allegedly failing to stop her husband from assaulting their daughter. The mother told police her husband had insisted that food not be given to their daughter in the days before her death, the sources said.